South Shields' oldest Aerial company. Paul Davis TV Aerials & Satellite Systems Ltd. strives to offer a reliable, high-standard, written guarantee backed installation. 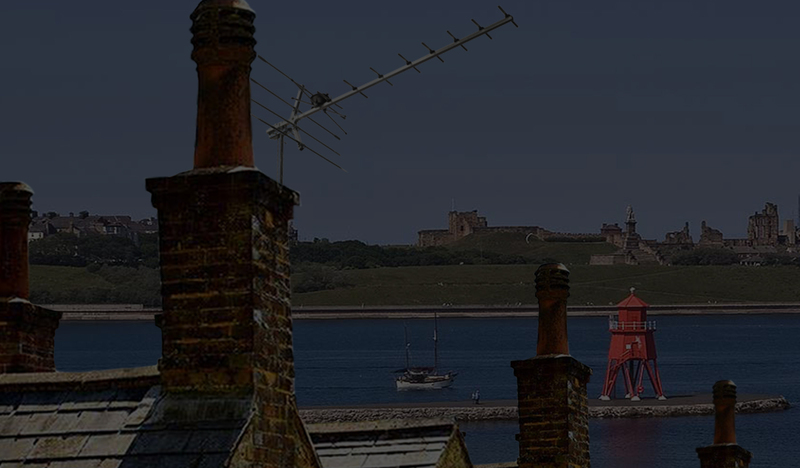 From a family run company with over 43 years experience in fixing and installing aerials in South Shields and the surrounding areas, you can be sure that you’re in safe hands. Being a family run company, we know that the personal touch is key to customer satisfaction, and will strive to make all of our customers feel as comfortable as possible whilst we undergo our work. All of our engineers are qualified in digital signal reception – a qualification that takes 2 years of inspection and examination. This qualification is only held by a handful of riggers in this country. Paul Davis security systems supply and install domestic and commercial CCTV systems to your property. Paul Davis has been installing satellite systems in South Shields since the birth of Sky TV in February 1989.